The idiom about being able to "take the boy out of the country" is right on, unless that country's part of the developed West, where everyone's soo uppity about child trafficking. 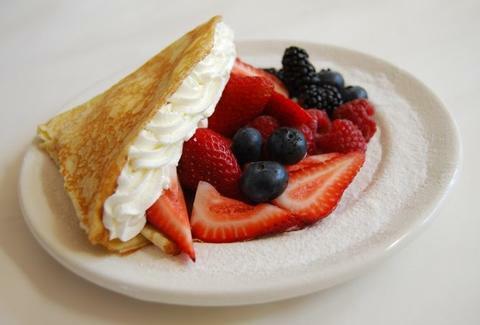 For crepes from a relocated Frenchman who couldn't get them out of his system, check out La Crepe Fraiche. They've also got self-serve froyo (from maraschino cherry to blueberry-pomegranate), along with artsy cupcakes like the ganache-topped "Choco Delice", giving Fraiche more than enough sweets to lure in kids, even if traffic is terrible.